《物理化学学报》编辑部. 专访中国石墨烯领军人物：刘忠范院士及他的团队. 物理化学学报, 2019, 35(8): 787-791. doi: 10.3866/PKU.WHXB201904035. 刘志敏. 离子液体独特的催化性能：无金属条件下氢键催化醇氧化酯化生成酯. 物理化学学报, 2019, 35(8): 792-793. doi: 10.3866/PKU.WHXB201810031. 马丁. 金属与碳化物载体间强相互作用(SMSI)研究. 物理化学学报, 2019, 35(8): 794-795. doi: 10.3866/PKU.WHXB201810033. 郑兰荪. Au144的单晶结构获得解析. 物理化学学报, 2019, 35(8): 796-797. doi: 10.3866/PKU.WHXB201810066. 刘鸣华. 人源蛋白酶体底物降解动力学的高分辨三维冷冻电子成像. 物理化学学报, 2019, 35(8): 798-799. doi: 10.3866/PKU.WHXB201812002. 吴凯. 单分子研究揭示无定形红磷的确切分子结构. 物理化学学报, 2019, 35(8): 800-801. doi: 10.3866/PKU.WHXB201901024. 杨金龙. HCO自由基光解反应中的动态干涉. 物理化学学报, 2019, 35(8): 802-803. doi: 10.3866/PKU.WHXB201901030. 刘忠范. 探索氟代碳酸乙烯酯添加剂对钠离子电池正极的影响. 物理化学学报, 2019, 35(8): 804-805. doi: 10.3866/PKU.WHXB201903013. 迟力峰. 基于裂结技术的单分子化学反应研究进展综述. 物理化学学报, 2019, 35(8): 806-807. doi: 10.3866/PKU.WHXB201903025. 方佳丽,陈新,李唱,吴玉莲. 原位液体室透射电镜观察金纳米棒/石墨烯复合物的形成和运动过程. 物理化学学报, 2019, 35(8): 808-815. doi: 10.3866/PKU.WHXB201901035. 龚铃堰,廖广志,陈权生,栾和鑫,冯玉军. 表面活性剂溶胀胶束：性能及应用. 物理化学学报, 2019, 35(8): 816-828. doi: 10.3866/PKU.WHXB201810060. 余培锴,冯安妮,赵世强,魏珺颖,杨扬,师佳,洪文晶. 基于裂结技术的单分子尺度化学反应研究进展. 物理化学学报, 2019, 35(8): 829-839. doi: 10.3866/PKU.WHXB201811027. Ca2+ and Mg2+ ions are the main divalent cations in living cells and play vital roles in the structure and function of biological membranes. To date, the differences in the effects of these two ions on the Escherichia coli (E. coli) inner membrane at various concentrations remain unknown. Here, the effects of Ca2+ and Mg2+ ions on a mixed lipid bilayer composed of 1-palmitoyl-2-oleoyl-sn-glycero-3-phosphoethanolamine (POPE) and 1-palmitoyl-2-oleoyl-sn-glycero-3-phosphoglycerol (POPG) in a 3 : 1 ratio (mol/mol), which mimics the E. coli inner membrane, were quantitatively differentiated at different concentrations by dynamic light scattering (DLS), zeta potential measurements and all-atom molecular dynamics (AA-MD) simulations. The DLS results demonstrated that the POPE/POPG liposomes were homogeneous and monodisperse in solutions with Ca2+ or Mg2+ ion concentrations of 0 and 1 mmol∙L-1. As the Ca2+ or Mg2+ ion concentration was increased to 5-100 mmol∙L-1, lipid aggregation or the fusion of unilamellar liposomes occurred in the ion solutions. The zeta potential measurements showed that both the Ca2+ and Mg2+ ions had overcharging effects on the negatively charged POPE/POPG liposomes. The AA-MD simulation results indicated that the Ca2+ ions irreversibly adsorbed on the membranes when the simulation time was longer than 100 ns, while the Mg2+ ions were observed to dynamically adsorb on and desorb from the membranes at various concentrations. These results are consistent with the DLS and zeta potential experiments. The average numbers of Ca2+ and Mg2+ ions in the first coordination shell of the oxygen atoms of the phosphate, carbonyl and hydroxyl groups of POPE and POPG (i.e., the first coordination numbers) in the pure membrane and membranes containing 5 and 100 mmol∙L-1 ions were calculated from the radial distribution functions. The results indicated that the primary binding site of these two ions on POPE and POPG at the concentrations studied was the negatively charged phosphate group. Thus, these results might explain the overcharging effects of both the Ca2+ and Mg2+ ions on the POPE/POPG liposomes. Moreover, as the Ca2+ concentration increased, the area per lipid of the lipid bilayers decreased, and the membrane thickness increased, while the Mg2+ ions had negligible effects on these membrane parameters. In addition, these ions had different effects on the orientation of the lipid head groups. These simulation results may be used to provide the possible explanations for the differences between Ca2+ and Mg2+ ions in DLS and zeta potential measurements at the atomic level. The experimental results and MD simulations provide insight into various biological processes regulated by divalent cations, such as membrane fusion. Tao ZHANG,Yunguang QIU,Qichao LUO,Xi CHENG,Lifen ZHAO,Xin YAN,Bo PENG,Hualiang JIANG,Huaiyu YANG. Concentration Dependent Effects of Ca2+ and Mg2+ on the Phosphatidylethanolamine-Phosphatidylglycerol Bilayer. Acta Physico-Chimica Sinica, 2019, 35(8): 840-849. doi: 10.3866/PKU.WHXB201811016. As a unique two-dimensional material, graphitic carbon nitride (g-C3N4) has received significant attention for its particular electronic structure and chemical performance. Its instinctive defect can provide a stable anchoring site for metals, potentially improving the surface reactivity. Ni-based catalysts are economical but their activity for CO2 methanation is lower than that of noble metal catalysts. Ni nanoparticles (NPs) supported on a substrate can further enhance the stability and activity of catalysts. Based on the principles of strong metal-support interaction (SMSI) and the synergistic effect on an alloy, MNi12/g-C3N4 composites as novel catalysts are expected to improve stability and catalytic performance of Ni-based catalysts. The configurations are established with core-shell structures of MNi12 (M = Fe, Co, Cu, Zn) nanoparticles (NPs) supported on g-C3N4 in this work. In the CO2 methanation reaction, the reactivity of CO on slab (ECO) is a critical factor, which is relative to the catalytic activity. Thus, the catalytic reactivity of these complexes via CO adsorption were explored using density functional theory (DFT). The values of cohesive energy (Ecoh) for MNi12 NPs range from -39.90 eV to -34.82 eV, suggesting that the formation of these NPs is favored as per thermodynamics, and Ecoh and partial density of state (PDOS) reveal that the central M atom with the less filled d-shell interacts more strongly with surface Ni atoms. Therefore, ZnNi12 is the most unstable structure among all the studied alloy, and the synergistic effect is also the weakest among them. When MNi12 NPs are supported on the g-C3N4 substrate, the binding energies (Eb) vary from -9.40 eV to -8.39 eV, indicating that g-C3N4 is indeed a good material for stabilizing these NPs. The PDOS analysis of pure g-C3N4 suggests the sp2 dangling bonds of N atoms in g-C3N4 can stabilize these transition metal NPs. Furthermore, the results of CO adsorbed on MNi12 NPs and MNi12/g-C3N4 composites show that ECO and dCO reduced with the introduction of g-C3N4. According to the results of the analysis of the Hirshfeld charges and electrostatic potential (ESP), the reason is that CO obtains less electrons from MNi12 NPs after deposition on the g-C3N4 substrate, which lowers the reactivity of CO on catalysts. Additionally, the deformation charge density is analyzed to investigate the interaction between the NPs and g-C3N4. With the introduction of g-C3N4, charge redistribution indicates the strong metal-support interaction, which further reduces the CO adsorption energy. In summary, MNi12 supported on g-C3N4 exhibit not only high stability but also tunable reactivity in CO2 methanation. These changes are beneficial for CO2 methanation reaction. Mengru HAN,Yanan ZHOU,Xuan ZHOU,Wei CHU. Tunable Reactivity of MNi12 (M = Fe, Co, Cu, Zn) Nanoparticles Supported on Graphitic Carbon Nitride in Methanation. Acta Physico-Chimica Sinica, 2019, 35(8): 850-857. doi: 10.3866/PKU.WHXB201811040. 刘海,李毅,马兆侠,周智炫,李俊玲,何远航. 定常冲击波作用下六硝基六氮杂异伍兹烷(CL-20)/奥克托今(HMX)含能共晶初始分解机理研究. 物理化学学报, 2019, 35(8): 858-867. doi: 10.3866/PKU.WHXB201812011. 程振杰,毛亚云,董庆雨,金锋,沈炎宾,陈立桅. 氟代碳酸乙烯酯添加剂对钠离子电池正极的影响. 物理化学学报, 2019, 35(8): 868-875. doi: 10.3866/PKU.WHXB201811033. 王义洲,刘晔宏,徐首红,刘洪来. 用于药物载体的多重响应型聚合物分子的设计与合成. 物理化学学报, 2019, 35(8): 876-884. doi: 10.3866/PKU.WHXB201901019. 薛楷,闫敏楠,潘飞,田梦颖,潘旭东,张宏梅. 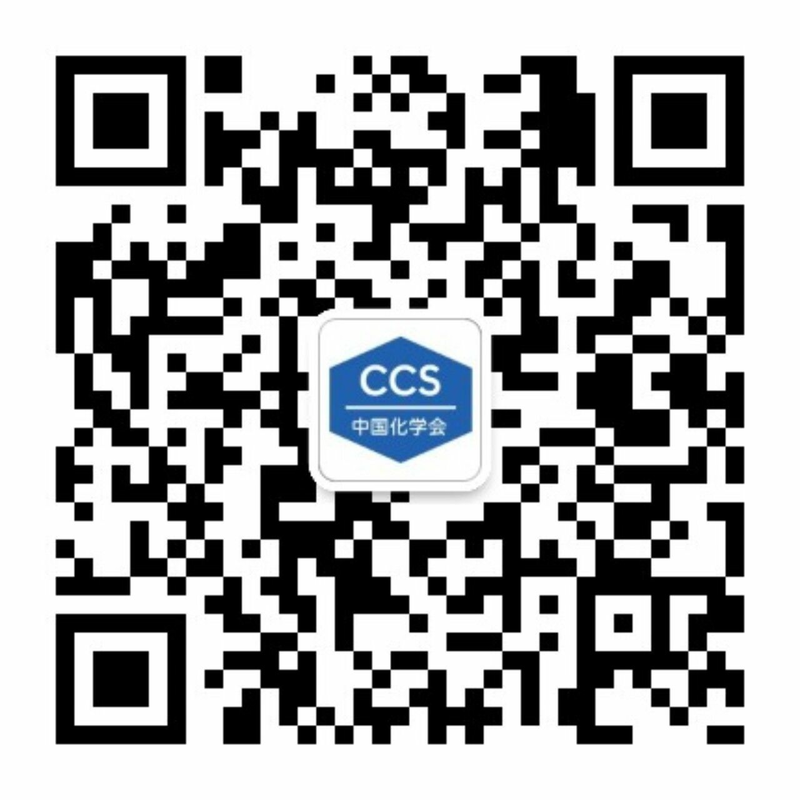 C60与MoO3混合材料做空穴注入层的单层有机电致发光器件. 物理化学学报, 2019, 35(8): 896-902. doi: 10.3866/PKU.WHXB201810064. In recent years, photocatalytic degradation of organic pollutants has attracted considerable attention because of its potential application for solving environmental problems. Among various semiconductor photocatalysts, TiO2 is considered a promising candidate due to its excellent structural stability. Many researchers have focused on improving the visible-light catalytic efficiency of TiO2, because the large band gap of TiO2 limits its utilization of visible light energy. Recently, it has been proved that intrinsic defects like oxygen vacancies in TiO2 can trigger the visible light activity. TiO2 hollow microspheres with large surface areas have shown high photocatalytic efficiencies in the degradation of organic pollutants. To date, the photocatalytic performance of TiO2-x hollow microspheres has not been investigated. The kinetics of photocatalytic degradation of organic dyes is usually depicted by the pseudo-first-order kinetic equation. However, a few studies have demonstrated the impact of light absorption by the dye itself on photocatalytic performance in terms of the rate equation. In this study, defective TiO2-x hollow microspheres were prepared by the hydrogen reduction process to effectively promote photocatalytic activity under visible light irradiation. The structure and properties were characterized by using scanning electron microscopy (SEM), transmission electron microscopy (TEM), X-ray diffraction (XRD) analysis, X-ray photoelectron spectroscopy (XPS), electron spin-resonance (ESR), Raman spectrometry, ultraviolet-visible diffuse-reflectance spectroscopy (UV-Vis DRS), and electrochemical tests. The photocatalytic performance was evaluated based on the photocatalytic degradation of methylene blue (MB) solution under visible light irradiation. The mechanism underlying the enhancement of photocatalytic activity was also discussed. The results show that the visible-light photocatalytic activity of TiO2-x, and TiO2-x hollow microsphere benefit from the presence of oxygen vacancies on the surface. The photocatalytic activity of TiO2-x hollow microspheres is better than that of TiO2-x, attributed to the formation of hollow structures with higher specific surface areas. The mechanism of MB degradation occurring on the TiO2-x hollow microsphere surface was also investigated. The results show that the MB molecules are photodegraded by the photogenerated hole (h+), reactive superoxide radical (•O2-), and hydroxyl radicals (•OH), and that the •OH radicals, produced only by photogenerated holes, play an essential role in the degradation of MB. Based on the discussion of the effect of initial concentration of MB on the degradation process, a new kinetic model was proposed for the photocatalytic degradation of dye, considering the effect of visible light absorbed by MB molecules, because the data estimated by pseudo-first-order kinetic equation do not fit well with the experimental data. The Runge-Kutta method was used to obtain the numerical solution of the kinetic model. The results show that the kinetic model proposed for photocatalytic dye degradation gives a more realistic description of the photocatalytic degradation of MB because the calculated results fit better with the experimental data. The rate constant (kapp) of the pseudo-first-order kinetic equation decreases with increasing initial concentration of MB, indicating that kapp is affected by the light absorption properties of MB, because an increase in the initial concentration of MB will lead to increased absorption of visible light by MB molecules rather than by TiO2-x hollow microsphere. Unlike the rate constant kapp, the rate constant ka in the proposed model describes the process of photocatalytic dye degradation more effectively because it does not depend on the initial dye concentration. Jiawei ZHANG,Sheng WANG,Fusheng LIU,Xiaojie FU,Guoquan MA,Meishun HOU,Zhuo TANG. Preparation of Defective TiO2-x Hollow Microspheres for Photocatalytic Degradation of Methylene Blue. Acta Physico-Chimica Sinica, 2019, 35(8): 885-895. doi: 10.3866/PKU.WHXB201812022. 刘忠范. 同分异构的胶体硫化镉半导体幻数团簇的可逆转化. 物理化学学报, 2019, 35(5): 451-452. doi: 10.3866/PKU.WHXB201807016. 侯文华. 异原子占据Ag原子簇的中心核用于催化CO2生成碳碳键的反应. 物理化学学报, 2019, 35(5): 453-454. doi: 10.3866/PKU.WHXB201807017. 韩布兴. 基于Au@PPy核壳结构纳米粒子自组装阵列的可程序化负微分电阻效应研究. 物理化学学报, 2019, 35(5): 455-456. doi: 10.3866/PKU.WHXB201807063. 庄林. 弛豫时间分布法分解固体氧化物燃料电池电化学阻抗谱. 物理化学学报, 2019, 35(5): 457-458. doi: 10.3866/PKU.WHXB201807065. 吴凯. 电荷驱动水中氧化物纳米颗粒自组装的原位透射电子显微镜研究. 物理化学学报, 2019, 35(5): 459-460. doi: 10.3866/PKU.WHXB201807077. 邓祎华,彭爱东,吴筱曦,陈华杰,黄辉. 有机太阳能电池中基于苝二酰亚胺结构小分子受体进展. 物理化学学报, 2019, 35(5): 461-471. doi: 10.3866/PKU.WHXB201806073. 杨晓冬,陈驰,周志有,孙世刚. 碳基非贵金属氧还原电催化剂的活性位结构研究进展. 物理化学学报, 2019, 35(5): 472-485. doi: 10.3866/PKU.WHXB201806131. 卢海涛,刘富强,王于蓝,王成冬,范雄杰,刘存喜,徐纲. 正十二烷高温机理简化及验证. 物理化学学报, 2019, 35(5): 486-495. doi: 10.3866/PKU.WHXB201806081. 施王影,贾川,张永亮,吕泽伟,韩敏芳. 固体氧化物燃料电池电化学阻抗谱差异化研究方法和分解. 物理化学学报, 2019, 35(5): 509-516. doi: 10.3866/PKU.WHXB201806071. 赵喆,卢岳,张振华,隋曼龄. 原位透射电子显微镜观察电荷驱动的氧化物纳米颗粒水中自组装. 物理化学学报, 2019, 35(5): 539-545. doi: 10.3866/PKU.WHXB201806012. The fabrication of high-efficiency organic solar cells requires a cathode interlayer (CIF) having multiple properties such as forming an ohmic contact with the active layer, high electron conductivity, low-density traps, and hole blocking. These roles can be more completely fulfilled by using a suitable binary blended CIF rather than a single molecule based CIF. In this article, we present the roles by using binary blended PDINO (amino N-oxide perylene diimide) and QPhPBr (tetraphenylphosphonium bromide) as the CIF to fabricate fullerene-free polymer solar cells (PSCs) with PBDB-T:IDTBR, a new donor: acceptor combination, as the active layer. The high-lying lowest unoccupied molecular orbital of the acceptor and the low-lying highest occupied molecular orbital (HOMO) of the polymer with small driving force (the donor-acceptor HOMO-HOMO energy offset, ∆HOMO) for the hole transfer, both result in a high open circuit voltage (Voc). Moreover, our strategy to insert a dual mixed solution of CIF over the blended active layer better facilitates the role, which significantly improves charge extraction and collection, leading to the high Voc, short-circuit current density (Jsc), and fill factor (FF) observed in comparison to a single CIF material. It was observed that the power conversion efficiency (PCE) increases to 8.27%, with a high Voc of 1.0 V, using a binary mixture of CBL. Such tremendous improvements in Voc using well known polymer donors have not been reported till date in binary solar cell systems. This idea demonstrates that the minimum energy loss because of the small ∆HOMO of the D-A combination and the use of a dual mixed layer of CBL together present the future prospects of non-fullerene photovoltaic devices for researchers. Monika GUPTA,Dong YAN,Fugang SHEN,Jianzhong XU,Chuanlang ZHAN. Perylenediimide: Phosphonium-Based Binary Blended Small-Molecule Cathode Interlayer for Efficient Fullerene-Free Polymer Solar Cells with Open Circuit Voltage to 1.0 V. Acta Physico-Chimica Sinica, 2019, 35(5): 496-502. doi: 10.3866/PKU.WHXB201805101. By using photovoltaic technology, ambient solar light can be directly converted to electricity. The photovoltaic technology has been regarded as one of the most important and promising strategies to resolve the worldwide energy and pollution problems. As one type of photovoltaic technology, polymer solar cells have attracted increasing interest due to their advantages of solution processing capability, low-cost, feasibility to be fabricated on flexible substrates etc. Not until a few years ago, the fullerene derivatives had been dominated the organic photovoltaic field as the most promising acceptor materials for polymer solar cells. However, fullerene-based polymer solar cells have a power conversion efficiency bottleneck due to the relatively fixed energy levels as well as the fixed bandgaps of fullerene derivatives. Therefore, researchers started to develop nonfullerene acceptors which can be used as alternatives to replace the traditional fullerene derivatives. Compared to the fullerene derivatives, nonfullerene acceptors offer several advantages such as stronger light absorption, tunable bandgaps and frontier molecular orbital energy levels. For nonfullerene acceptors, a ladder-type fused ring is usually used as the central core which is an essential building block to tailor the bandgaps and energy levels. Although many fused ring systems have been explored for efficient nonfullerene acceptors, ladder-type angular-shape dithienonaphthalene is seldom reported as the donor unit for nonfullerene acceptors. Furthermore, the impact of thiophene bridge on the optical and photovoltaic properties of the dithienonaphthalene-based nonfullerene acceptors has never been reported. In this context, we report on the design and synthesis of a dithienonaphthalene-based small-molecule acceptor which contains thiophene bridges in between the acceptor terminals and the fused-ring donor core. Compared to the dithienonaphthalene-based small-molecule without the thiophene bridges, the resulting acceptor (DTNIT) exhibits a reduced bandgap of 1.52 eV which makes it more suitable to be blended with the benchmark large bandgap copolymer, poly[(2, 6-(4, 8-bis(5-(2-ethylhexyl)thiophen-2-yl)-benzo[1, 2-b: 4, 5-b']dithiophene))-alt-(5, 5-(1', 3'-di-2-thienyl-5', 7'-bis(2-ethylhexyl)benzo[1', 2'-c:4', 5'-c']dithiophene-4, 8-dione)] (PBDB-T). The reduced band-gap of the resulting nonfullerene acceptor can be attributed to its extended π-conjugation in comparison with the dithienonaphthalene-based acceptor without the thiophene bridges. Inverted polymer solar cells with a device configuration of indium tin oxide/ZnO/PBDB-T:DTNIT/MoO3/Ag were fabricated and characterized. Polymer solar cells based on PBDB-T:DTNIT showed an open circuit voltage of 0.91 V, an enhanced short circuit current of 14.42 mA∙cm−2, and a moderate PCE of 7.05% which is comparable to the PCE of 7.12% for the inverted device based on PBDB-T:PC71BM. Our results not only provide a method to synthesize efficient nonfullerene acceptors with reduced bandgaps, but also offer a bandgap modulation strategy for nonfullerene acceptors. Meiqi ZHANG,Yunlong MA,Qingdong ZHENG. Bandgap Modulation of Dithienonaphthalene-Based Small-Molecule Acceptors for Nonfullerene Organic Solar Cells. Acta Physico-Chimica Sinica, 2019, 35(5): 503-508. doi: 10.3866/PKU.WHXB201805151. Owing to the scarcity of platinum, it is of high importance to develop electrodes with low platinum metal loading and to thereby improve the utilization of Pt for the commercialization of proton-exchange membrane fuel cells (PEMFCs). In comparison to conventional high-platinum electrodes, the thickness of the catalyst layer (CL) is thinner and the interatomic Pt spacing is larger for the low-Pt loading electrodes. The distribution of electrolyte ionomer and the electrode morphology, which are strongly influenced by the solvents used in the fabrication process, are therefore increasingly important factors for achieving high performance in the membrane electrode assembly (MEA). In this work, different solvents with various dielectric constants and evaporation rates were used to prepare the inks for low-Pt loading cathode (0.1 mg·cm-2) fabrication. First, the inks were fabricated by dispersing the catalyst and ionomer in different solvents which were then coated onto carbon paper to prepare the gas diffusion electrodes. The anode and cathode electrodes were then hot-pressed together with the Nafion membrane to produce the MEAs. The results showed a mixture of isopropanol-water (4:1) yielded the best-performing MEA during the single-cell tests compared to the other solvents tested. In order to elucidate the relationship between the performance of MEAs and the solvents, the structure and the surface morphology of the CL and the distribution of Nafion ionomer in the CL was characterized using scanning electron microscopy (SEM) and transmission electron microscopy (TEM). A comparison of the SEM and TEM images of representative samples indicated that the best performing electrode had a much improved homogeneity in the surface morphology as well as the dispersion of catalyst and ionomer. This was because of the moderate evaporation rate and better dispersion, caused by the increased hydrogen bonding and high dielectric constant, respectively. The results from dynamic light scattering (DLS) showed that the size of the catalyst and ionomer aggregates are influenced by the solvents. It is suggested that larger aggregates might help the formation of holes in the CL for gas diffusion and water removal, with the optimum size found to be around 400–800 nm. In conclusion, the MEA fabricated from the isopropanol-water solvent exhibited a significantly increased power density (1.79 W·cm-2), and the utilization of Pt was increased to approximately 0.047 mg·W-1, which is among the best-performing fuel cells reported to date. Wenhui CHEN,Shengli CHEN. Effect of Ink Solvents on Low-Pt Loading Proton Exchange Membrane Fuel Cell Performance. Acta Physico-Chimica Sinica, 2019, 35(5): 517-522. doi: 10.3866/PKU.WHXB201806011. Molybdenum carbide is regarded as an excellent substitute for Pt-based catalysts in the hydrogen evolution reaction (HER), owing to its low cost, superior catalytic performance, and long-term stability. In this work, salt-sealed molybdenum carbide was prepared using sodium molybdate and 2, 6-diaminopyridine as the reactive raw materials, followed by continuous salt sealing and calcination of the precursor under an inert atmosphere. The morphology, composition and structure of salt-sealed molybdenum carbide were determined by scanning electron microscopy, transmission electron microscopy (TEM), energy-dispersive X-ray spectroscopy (EDS), X-ray diffraction (XRD), and X-ray photoelectron spectroscopy (XPS). The results indicate that salt-sealed molybdenum carbide has irregular morphology and includes nanoparticles and nanorods. A comparison of the TEM images of Mo2C with salt sealing (Mo2C/SS) and Mo2C without salt sealing (Mo2C) indicates that Mo2C/SS exhibits a smaller particle size. This suggests that salt sealing can efficiently avoid particle aggregation. The Brunauer-Emmett- Teller (BET) specific surface area of the catalysts was obtained from nitrogen adsorption/desorption isotherms. The increase in BET surface area from 2.55 to 8.14 m2·g−1 after salt sealing provides evidence for the formation of pores in the product. The results of XRD, EDS and XPS analyses show that Mo2C/SS has an orthorhombic crystal structure with molybdenum oxides on the surface, which may originate from surface oxidation. Considering the results of XPS and the turnover frequency (TOF) calculation, we can conclude that the formation of pores via salt sealing contributes to the exposure of more active sites, while simultaneously enlarging the contact area with oxygen. Therefore, higher molybdenum oxide content is generated on the surface, resulting in a lower proportion of active centers (molybdenum carbides) on the catalyst surface. Furthermore, the pseudocapacitance generated by the faradaic reaction of molybdenum oxides is superimposed on the double-layer capacitance of Mo2C catalysts, which increases the double layer capacitance. Since the effect of pseudo-capacitance on Mo2C/SS is more significant, the TOF number declines after salt sealing. Compared with Mo2C, Mo2C/SS exhibits three features that promote HER mass activity: (1) the generation of large quantities of pores via salt sealing leads to an increase in the BET surface area and exposure of more active sites, which is beneficial for improving HER performance; (2) the porous structure and enlarged surface area pave the way for effective mass and charge transfer; (3) the decrease of the Tafel slope from 145 to 88 mV·dec−1. In summary, salt-sealed Mo2C exhibited enhanced HER activity with an overpotential of 175 mV to achieve a current density of 10 mA·cm−2. The Tafel slope for HER on salt-sealed Mo2C is 88 mV·dec−1. This can be considered as the proof of the Volmer-Heyrovsky mechanism with electrochemical desorption as the rate-determining step. Zhou LIN,Linfan SHEN,Ximing QU,Junming ZHANG,Yanxia JIANG,Shigang SUN. Molybdenum Carbide Prepared by a Salt Sealing Approach as an Electrocatalyst for Enhanced Hydrogen Evolution Reaction. Acta Physico-Chimica Sinica, 2019, 35(5): 523-530. doi: 10.3866/PKU.WHXB201806191. Vanadium oxides are one of the most important heterogeneous catalysts that are widely used to oxidize hydrocarbon molecules into value-added chemicals. In order to reveal the mechanisms and the nature of active sites, numerous experimental and theoretical studies have been reported on the reactivities of gas-phase vanadium oxide clusters toward small molecules. However, there has been very limited research on the chemical reactivity changes associated with the oxygen contents of vanadium oxides and the carbon chain lengths of alkanes. In this work, the reactions of vanadium oxide ions VO1−4+ with alkanes (n-CmH2m+2, m = 3, 5, 7) were systematically investigated by time-of-flight mass spectrometry and the reactions of VO1−3+ with pentane were further studied by density functional theory calculations. Experimental results show that in the reactions of VO+, VO3+, and VO4+ with n-C5H12, in addition to the major adsorption processes, the activation of the C―H and C―C bonds of n-C5H12 was observed. The activation of both the bonds was observed experimentally during the reaction of VO2+ with n-C5H12 with large branching ratios. Among the vanadium oxide cations studied, VO2+ shows the strongest oxidizability and the generation of lighter alkanes and alkenes dominates the reactions; VO+ is more reactive than VO3+. VO4+ pocesses only one η2-O2 unit. Due to the weak bond between VO2+ and η2-O2, the η2-O2 unit is released in VO4+/n-C5H12 system leading to the formation of VO2+; thus VO4+ cations reflect some reactivity of VO2+. Although the oxidation states in the vanadium oxide clusters increase from +Ⅲ in VO+ to +Ⅴ in VO2+ and +Ⅳ in VO3+, the reactivity does not gradually increase. Moreover, the reactivity of the mononuclear vanadium oxide cations also does not exhibit a gradually increasing trend with the increase in oxygen content. Based on the observed reactivity trend, the adsorption channels gradually become weak as the carbon chain lengths increase; meanwhile, the dehydrogenation and C―C bond activation channels gradually become obvious and some oxygen transfer products appear. Therefore, much lighter fragments of alkanes/alkenes will be obtained if linear alkanes with more carbon atoms were reacted with VO1−4+. The theoretical results are generally consistent with those obtained from the experiments. The various reaction channels and versatile reactivity of the mononuclear vanadium oxide cations investigated in this study not only offer new insights into gas-phase reactions but also shed light on the processes occurring on the surfaces of the corresponding condensed-phase catalysts. Yue ZHAO,Jiatong CUI,Jichuang HU,Jiabi MA. Reactivities of VO1–4+ Toward n-CmH2m+2 (m = 3, 5, 7) as Functions of Oxygen Content and Carbon Chain Length. Acta Physico-Chimica Sinica, 2019, 35(5): 531-538. doi: 10.3866/PKU.WHXB201805231. The cell envelope of gram-negative bacteria consists of the outer membrane (OM), inner membrane (IM), and periplasm. The β-barrel outer membrane proteins (OMPs) embedded in the OM perform diverse and significant functions such as signaling, transporting, and proteolysis. The OMPs of gram-negative bacteria share similar folding pathways with that of mitochondria and chloroplasts. Therefore, the study of the OMP folding mechanism not only provides insights into antimicrobial drug design but also helps elucidate mitochondrial and chloroplast biogenesis. Most knowledge about OMP folding was obtained from ensemble experiments where OMPs were usually at micromolar concentrations and prone to aggregate, which is different from the physiological environment in the cells. Unlike ensemble techniques, single-molecule detection (SMD) can measure OMPs from nano- to picomolar concentrations and prevent aggregation. In this work, we investigated the folding of OmpT, one of the OMPs, in Tween-20 and n-dodecyl β-d-maltopyranoside (DDM) micelles by SMD. We prepared monodisperse OmpT and observed both unfolded and folded OmpT in Tween-20 and DDM micelles under different urea concentrations by single-molecule fluorescence resonance energy transfer (FRET). The folded OmpT in Tween-20 is structurally similar to the native OmpT folded in DDM but exhibits weaker resistance to urea. In contrast, OmpA barely folds and OmpC hardly folds in Tween-20 micelles. We confirmed that folded OmpT forms complexes with detergent micelles and estimated the number of bound Tween-20 and DDM molecules per OmpT by fluorescence correlation spectroscopy. We compared the enzymatic activity of OmpT folded in two detergents with a fluorescent peptide as substrate, and found that the folded form of OmpT in Tween-20 possesses weaker enzymatic activity than that in DDM. We also investigated the folding properties of OmpT, OmpA, and OmpC in the presence of the β-barrel assembly machine (BAM) complex. OmpT folds efficiently in liposome even without the BAM complex; OmpA only folds with the help of the BAM complex; and OmpC does not fold with or without the BAM complex. Based on the comparison of the folding of OmpT, OmpA, and OmpC in detergent micelles and in the presence of the BAM complex, we propose that OmpT has stronger folding tendency than OmpA and OmpC, which supports the idea that the exact role of the BAM complex is dependent on the distinct folding properties of individual OMPs. Since Tween-20 is a widely used reagent to block nonspecific adsorption in SMD experiments, our results also remind people to exercise caution to prevent possible wrong interpretations caused by the interaction between proteins and Tween-20. Peixuan BU,Chenhui HE,Xinsheng ZHAO. Single-Molecule Study on the Folding of OmpT in Tween-20 Micelles. Acta Physico-Chimica Sinica, 2019, 35(5): 546-554. doi: 10.3866/PKU.WHXB201806072.